As you know by now, I love watching NBC's Poker After Dark on television. 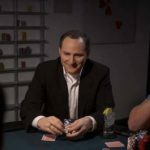 There was a great session a couple of years ago when poker pros Barry Greenstein, David Benyamine, Jennifer Harmon, Phil Ivey, Allen Cunningham and Eli Elezra squared off against each other. 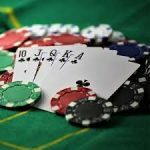 Although the usual PAD buy-in is $20,000 with $120,000 going to the winner, this game featured a $60,000 buy-in with a whopping $360,000 paid to the champ. When the following hand was dealt, Cunningham was the chip leader with $108,000 and Ivey was close behind with $102,000. 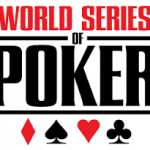 They were playing three-handed as Harmon, Benyamine, and Elezra had already been eliminated. Okay, here's my breakdown of the hand. 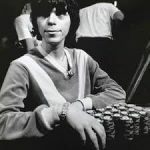 Cunningham's $10,000 opening bet with K-Q on the button was a natural although most players would have opened for a bit more as a raise of three times the big blind was the standard at that time. Ivey's reraise to $30,000 was a solid play even though he could have reasonably called or even folded his hand in that situation. In my opinion, Ivey should have stared down Cunningham for at least ten seconds before reraising the pot. Those few seconds might have given him the chance to figure out if his A-6 had Cunningham beat or not. Also, he would have sent a strong message to his opponent, letting Cunningham know that he was paying close attention. That alone might have induced Cunningham to fold his hand, which, incidentally, was the natural play for him to make. Those ten short seconds might have given Ivey just enough time to assess the situation and make a super-genius call for his last $72,000. Greenstein's fold with A-J was the standard play. It's pretty tough to move all-in with A-J when you're staring down at a raise and a reraise by two top-notch pros like Cunningham and Ivey. Cunningham's all-in poker bet was brilliant. It forced Ivey to fold any small pair or any ace-high hand lower than A-J, and might have gotten Ivey to lay down a medium to big pair, like eights, nines or tens. In fact, his play would also have won him the pot had Ivey been on a bluff. There's yet another reason why Cunningham's play worked. He had successfully established a reputation for tight play by playing fewer hands than anyone else, and then used that reputation to his advantage. 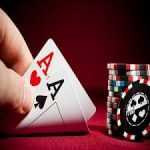 Look, No Limit Texas Hold'em is a game of reads, deduction and logic, and Allen Cunningham excels in each. He accurately deduced that Ivey wouldn't call a reraise. His intelligent play enabled him to win $34,000 virtually risk-free. Truthfully, I don't think Ivey ever imagined that Cunningham would have shoved all-in with K-Q as evidenced by his super-quick fold. His fold for $72,000 more was easy and natural. It simply would have been a superstar play to call in that situation with a marginal hand like A-6.